In the morning of February 23 (January 8 on the lunar calendar), LHU held a warm meeting to celebrate Lunar New Year, to send best wishes to each other and to begin first working days. Impressive performance showed by LHU staff. 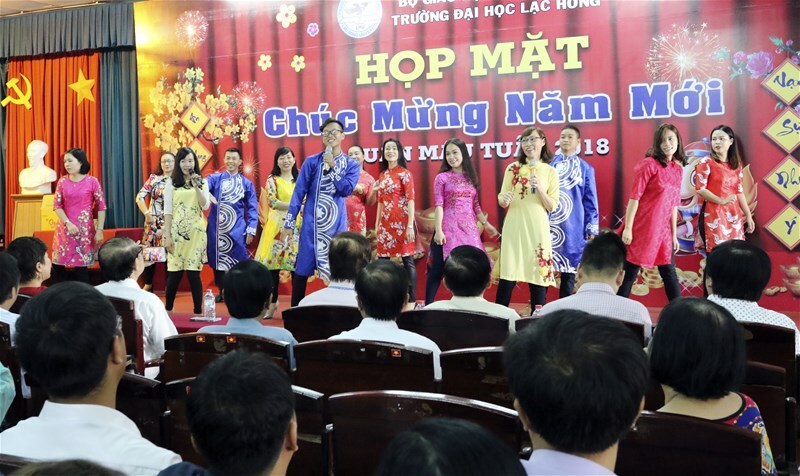 This New Year's meeting saw the presence of Secretary of Party Committee Nguyen Trung Phuong, Chairwoman of Trustees Board Do Thi Lan Dai, the Management Board including Rector Do Huu Tai, Vice Rector Diep Cam Thu, Vice Rector Nguyen Thi Thu Lan, Vice Rector Lam Thanh Hien, Vice Rector Nguyen Van Nam and Vice Rector Nguyen Vu Quynh, entire lecturers and staff. 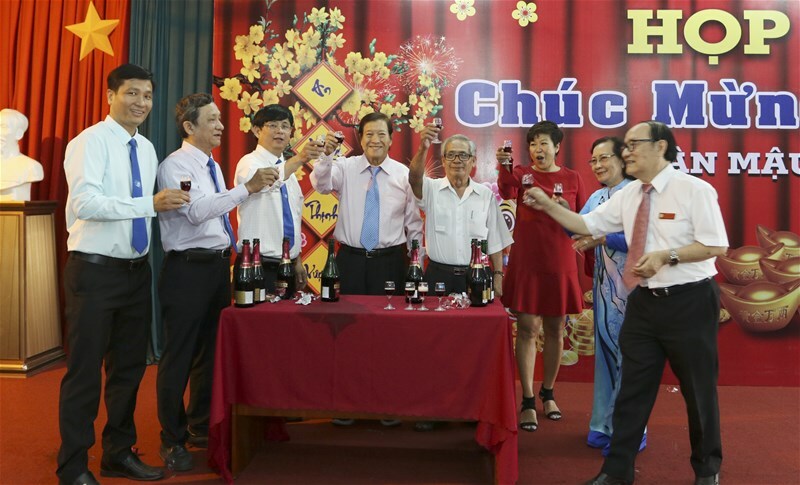 The University Management Board opened wine bottles to celebrate New Year. Speaking at the New Year's meeting, Rector Do Huu Tai reviewed outstanding achievements the University had gained in 2017. On behalf of the University Management Board, he sent his wish a new year of happiness, success and health to all officials, lecturers and staff. He also expressed his wish that all men and women of LHU would take every effort to contribute to the development of the University, gaining more outstanding achievements. Staff received red envelopes from the Management Board. ... and took a souvenir photo with the Management Board. 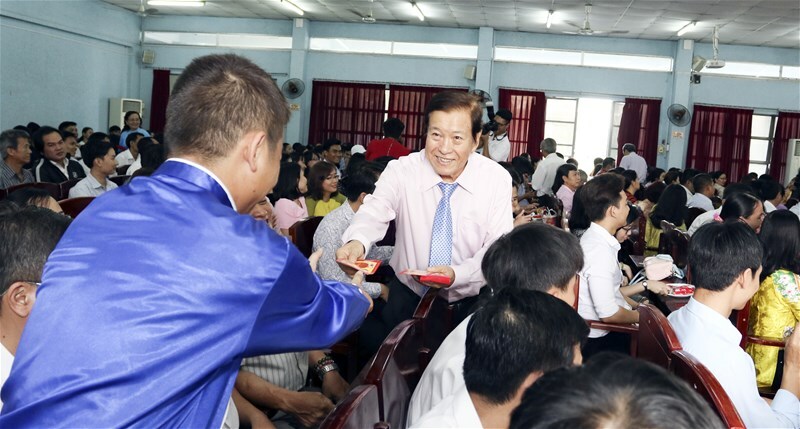 Also at the New Year’s meeting, the University Management Board toasted wine and handed over red envelopes to the whole staff, promising a new year with good luck.